Your soul is the map of your journey! Come join us on this fun adventure and learn to listen to the voice of your own soul. In There’s an Angel in my Computer, author Carol Gino employs a clever and entertaining communication device: a running dialogue between herself and an angel. In doing so, she develops a powerful relationship that helps her complete a spiritual journey toward writing and healing. This is the story of one woman’s quest for a Divine vision and the ways in which her prayers were answered. It is an introduction as well as an advanced exploration of the dance between spirit and soul shared in an unexpected and humorous way. When Carol finds her consciousness shifting, it concerns and intrigues her. That is when she discovers new aspects of herself, and begins to hear the voice of her own soul/spirit. It is in this communication between spirit and soul, that Carol reinvents herself and reframes the reality in which she lives. In this wise and witty dialogue, we witness the development of a relationship in which we find many of the answers we search for. It is a book that explores both path and purpose and shows us a space in which the soul of man touches the heart of God. Carol Gino offers her journey with amazing honesty and hope. Quite delightful and surprisingly intense. Great to read. I could not put it down and I had to stop myself from peeking at the ending. I was drawn in to the physical action of dealing with life crises and the psychological action of navigating a spiritual essence. This book is both quite delightful and surprisingly intense. It provided a great experience, fun to read. This is an amazing book that takes you on a journey of openings. This is an amazing book that takes you on a journey of openings. It certainly opened my heart as well as my soul. Thank you ever so much Ms. Gino!!! Wonderful story!!! This is such a delightful, honest, and inspiring story about the author’s discovery of and dialog between her and her “angel” Rashana. It contains wonderful spiritual wisdom delivered in a refreshingly funny, and entertaining manner. I didn’t want it to end!! More Rashana please!! I loved this little gem! Inspiring, humorous,thoughtful…Carol Gino’s story of her spiritual journey is a fantastic trip for us all! Loved it! A witty and inspirational story packed with tidbits of wisdom. I would highly recommend this book! 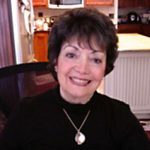 Carol Gino is a registered nurse with a MA in Transpersonal Psychology whose twenty+ year career has included experience in almost every area of health care, from critical care nursing to hospice to teaching. The Nurse’s Story was her first book, and her articles have appeared in New York magazine, Nursing, American Journal of Nursing, and The Chicago Tribune. She has done several cross-country media tours advocating patient rights and to change the Image of Nursing. Several book clubs chose the Nurse’s Story and it was published in 9 foreign countries. Carol Gino spent 20 years in relationship with Mario Puzo, author of “The Godfather”. After his death in 1999, she completed his manuscript of “The Family,” which was also a best seller.